Indigenous hunters in the Canadian territory of Nunavut have reported unexplained sounds that appear to be coming from the Arctic seafloor. These sounds, described as “pings,” “hums,” and “beeps,” have attracted the attention of Canada’s Department of National Defense, which dispatched a plane to investigate. 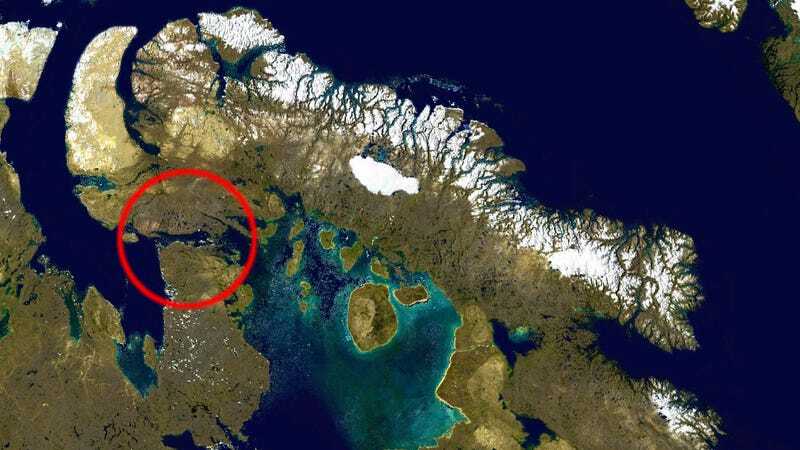 The strange sounds were heard throughout the summer in Fury and Helca Strait, which is about 75 miles (120 km) northwest of the hamlet of Igloolik. A government official from the region said the noise was “emanating from the seafloor,” and that it was happening in a major hunting area called a polynya—an area of open water surrounded by ice where sea mammals like to congregate. But this summer, “hardly any” animals appeared, prompting suspicion—and a potential link. Indigenous hunters aren’t the only ones who have heard the sounds. Reports also came in from boaters who navigated a private yacht through the area, and a number of other Nunavut residents say they’ve also heard the sounds. Whatever it is, this sound can apparently be heard through the hulls of boats. There are no shortage of theories. One suggestion is that Baffinland Iron Mines Corporation—which previously conducted sonar surveys in the area—is back to its old tricks. But the company says it has not conducted any surveys nearby, nor does it have any equipment in the water. Another theory is that the sounds are being produced by construction, blasting, or hydrography. But Nunavut officials say no territorial permits have been issued for such work. One of the more weirder theories points the finger at Greenpeace, along with the accusation that the environmental group is deliberately generating the sounds to scare wildlife away from the rich hunting ground. Greenpeace denies the accusation. The Canadian Department of National Defense told CBC News that it has been made aware of the strange noises, and that “the Canadian Armed Forces are taking the appropriate steps to actively investigate the situation.” Yesterday, a Canadian military surveillance plane checked out the area from above. The CDND said submarines have not been ruled out as the source, but considered it unlikely. Which seems like a strange thing to say given recent Russian encroachments in various Arctic regions. So while theories abound, nothing has been proven yet. We’ll be watching this story should some new information emerge.